Three years ago, I posted this recipe for overnight oats. 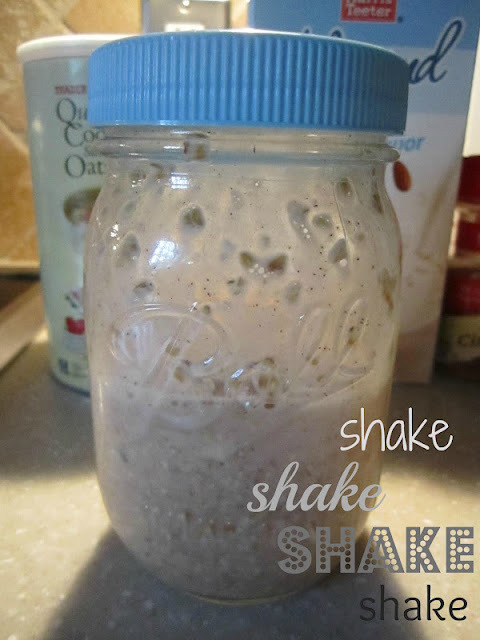 This is still one of my very favorite breakfasts to whip up in bulk for the week! You can add in whatever you may have in your fridge or pantry: berries, coconut flakes, chia seeds, honey, a spoonful of peanut butter ... mix and match to your heart's content! Enjoy this repost from July 2012, and happy breakfasting! We all know that breakfast is the most important meal of the day ... but when it's time to run out of the door in the morning, it's sometimes all too tempting to just grab a quick cup of coffee and call it a meal. I've always been a breakfast lover, but I am also a bit of a procrastinator. In the morning, every minute counts when it comes to getting ready -- and I hate being late to work. I want a breakfast that is simple, healthy, and quick to grab. 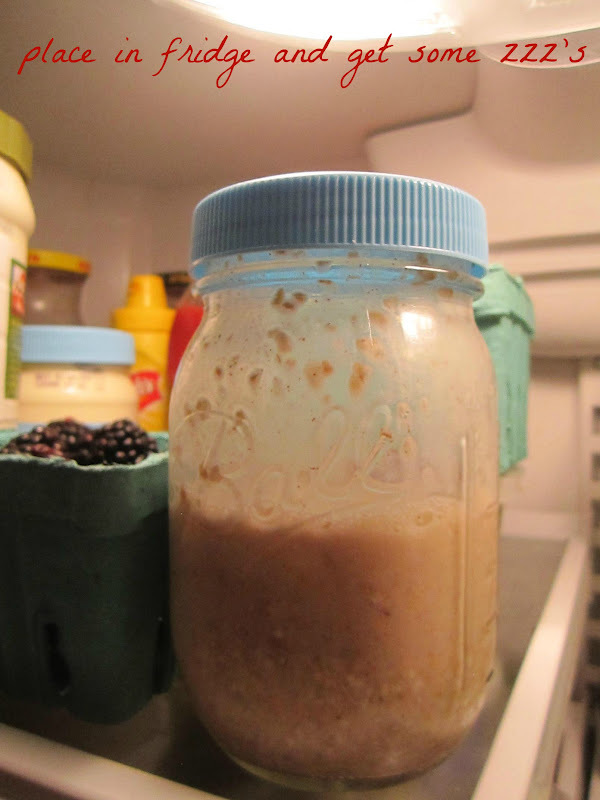 Refrigerator oatmeal is an easy concept that you prepare the night before, and the best part is, preparation only takes a minute or two. I vary the add-ins based on what I have on hand. 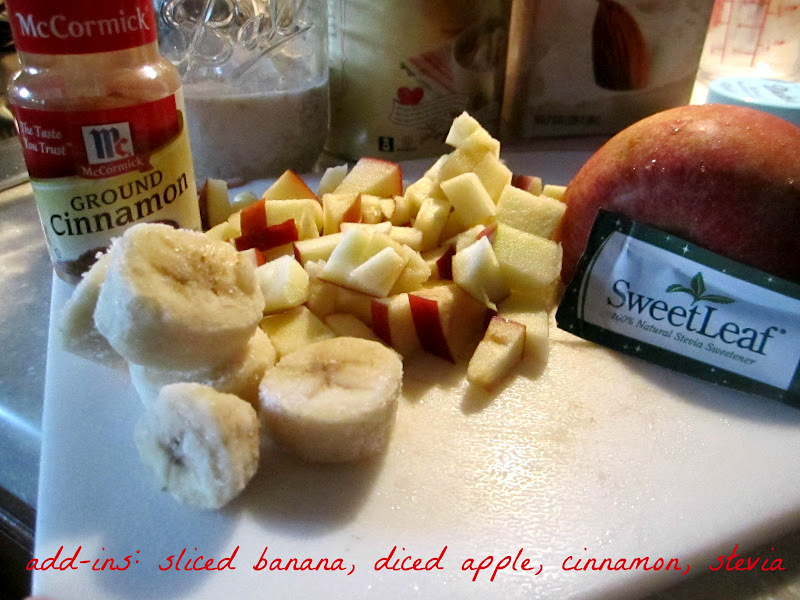 Frozen banana slices are an easy add-in, and these diced apples were tasty. Other favorites have been diced peaches and blueberries. Tomorrow I'll try adding in strawberries that I picked up at the farmer's market on Saturday. Cinnamon is always a good add-in for me, and sometimes I add in a half or full packet of a sweetener. Honey would be a great substitute. Top it with a lid and give it a good shake ... into the fridge it goes overnight! The next morning, this can be enjoyed cold with a spoon right out of the jar. ﻿It has a consistency like muesli -- very good for a warm summer morning. Have you tried this recipe yet? What quick weekday breakfast do you enjoy most? I've never tried this before, but I'm curious about it. It looks good! 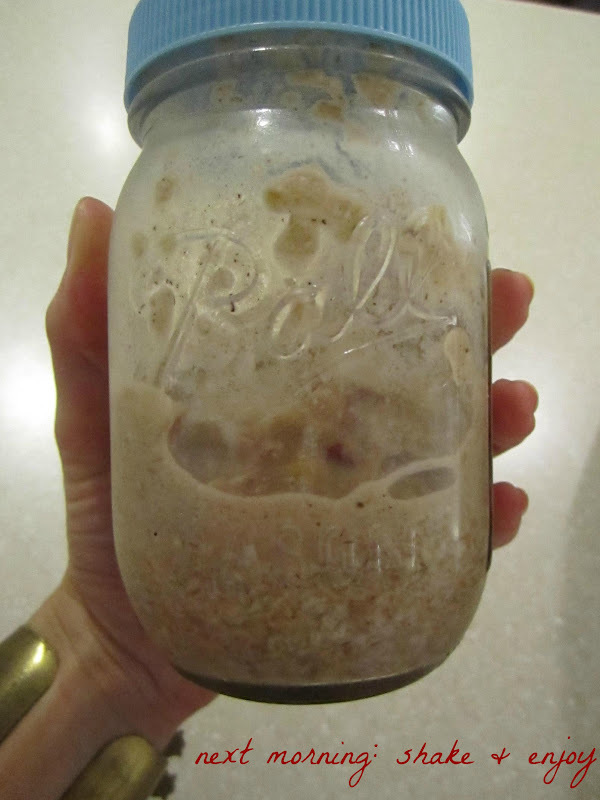 I have overnight oatmeal at least once a week! I love how cold and gooey and yummy it is, also perfect to grab and go in the morning. This recipe sounds delicious and easy, just the way I like my breakfast :) I am the same way I am always running around in the morning and know the last minute I can stay in bed so I need something to grab and go. I cannot wait to try this recipe. 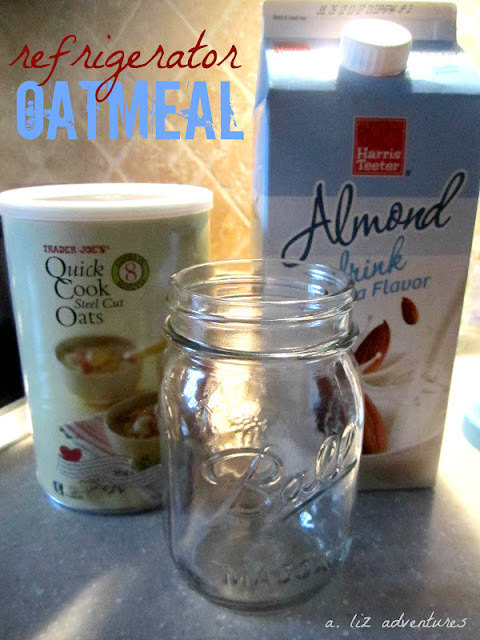 Definitely going to try because I do love oatmeal! I love easy breakfast ideas!! 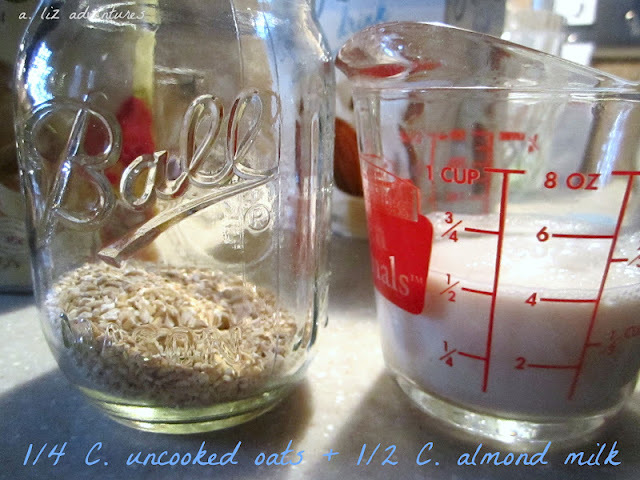 I've never made overnight oats but am going to give them a try. I gave this a try and have been eating this every day this week - needless to say I'm obsessed. Thanks for sharing!